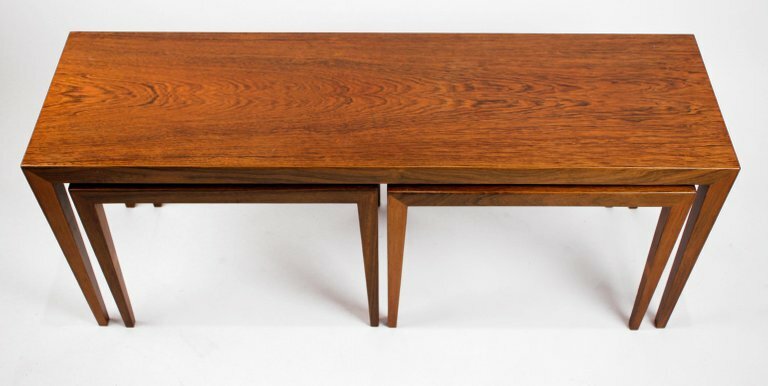 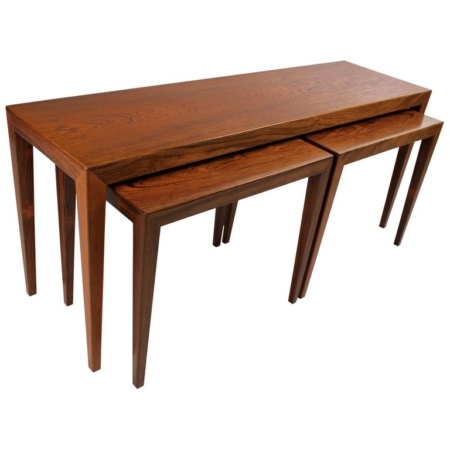 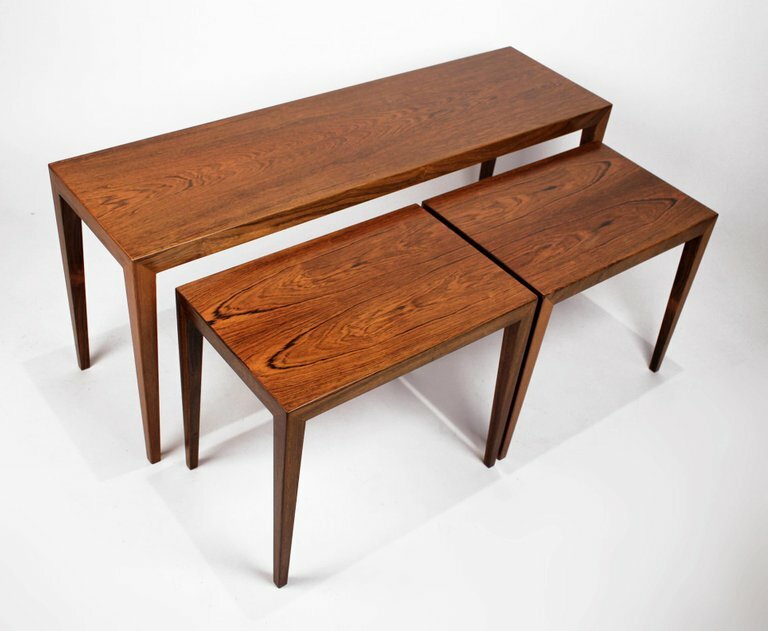 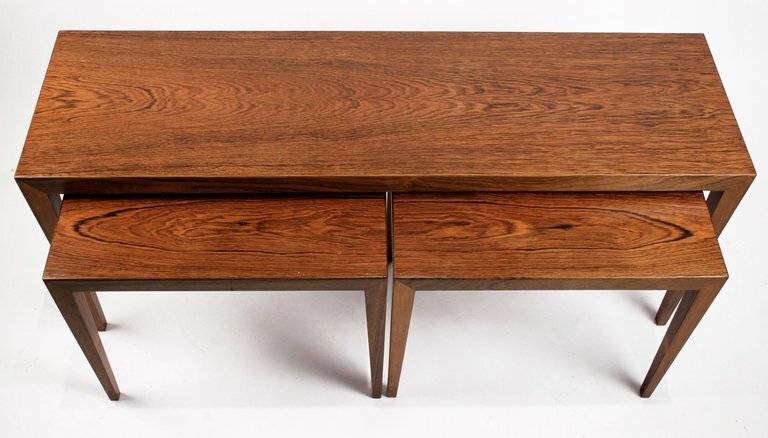 Trio of rosewood tables by Scandinavian master Severin Hansen. The large table could serve as a coffee table and the smaller tables as drink or tv tables. 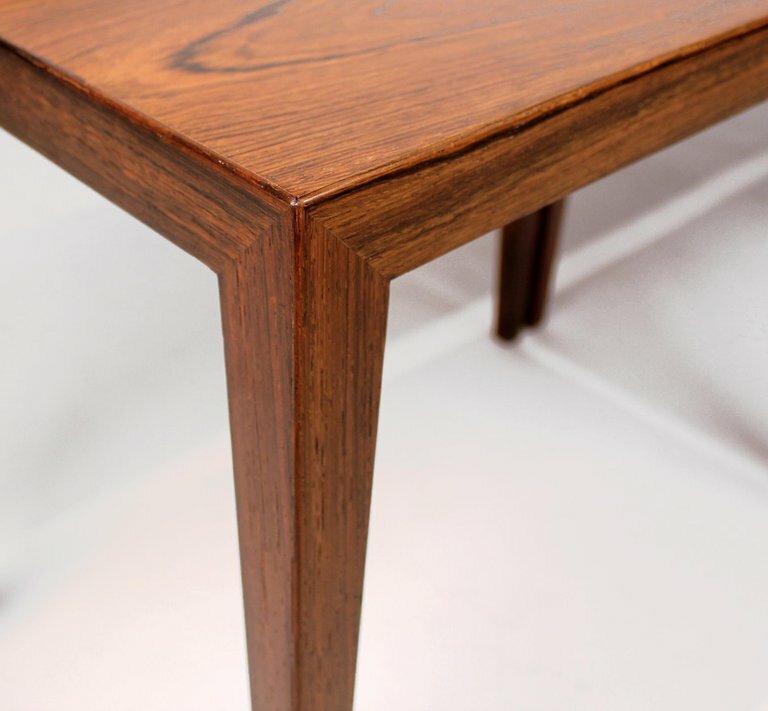 The smaller tables have a stunning book-matched rosewood veneer. 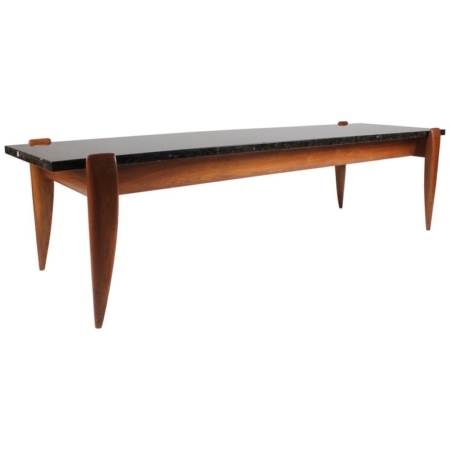 Measurement listed is of the larger table. 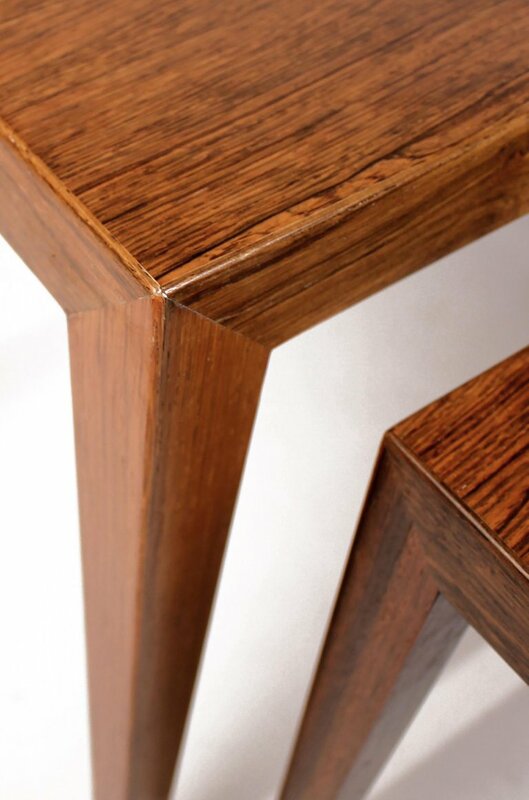 The smaller tables each measure: 16.25 H x 19 W x 12.5 D.